Wooden blinds are incredibly popular as they look extremely sophisticated and also come with a real old-school feel. 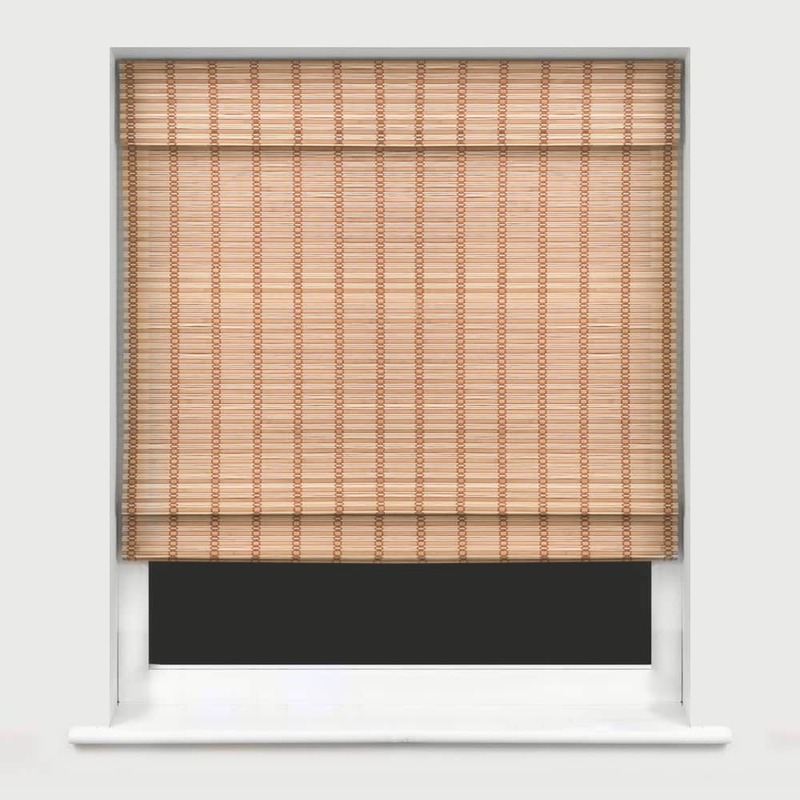 They work in the same fashion as a Venetian blind and are very similar to bamboo blinds with the use of natural materials. The horizontal slats are held together using a corded pulley system which reacts to your movement of the pulley system to determine how wide or narrow the blinds are, or how high the blind is going up the window. This gives you an excellent balance between privacy, safety, and aesthetics. 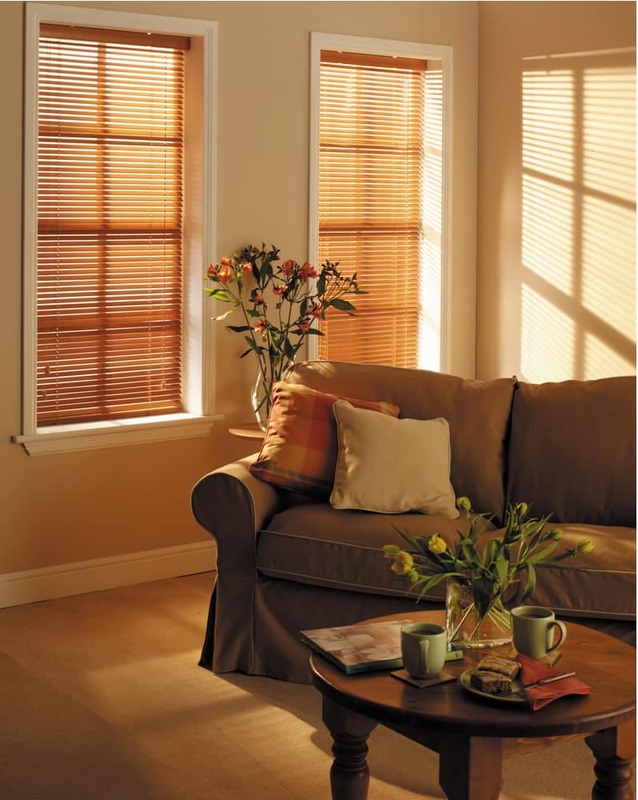 The advantages of these blinds are that they can be easily cleaned with a damp cloth. 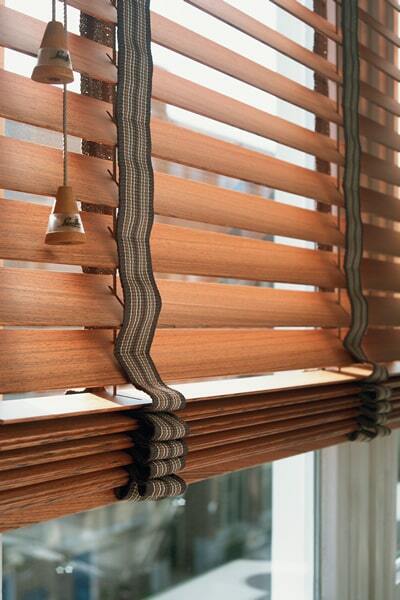 Unlike curtains or fabric related window treatments, wooden blinds are made of solid wood and can be wiped down. They are fitted with a high-quality timber species called basswood. It is hard and durable, making it perfect for a window covering. 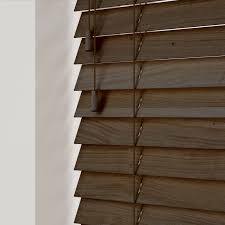 Most wooden blinds are made in a form of Venetian blinds, Which means it can regulate the amount of light easily through 2 axes of movements through the angle of the blind and the position of the blind. Typically, wooden blinds are available in solid oak woods but they come in various materials. Normal wooden blinds are unfortunately not waterproof. However, Estil stocks faux wood blinds for a more waterproof solution but maintaining the right form factor. 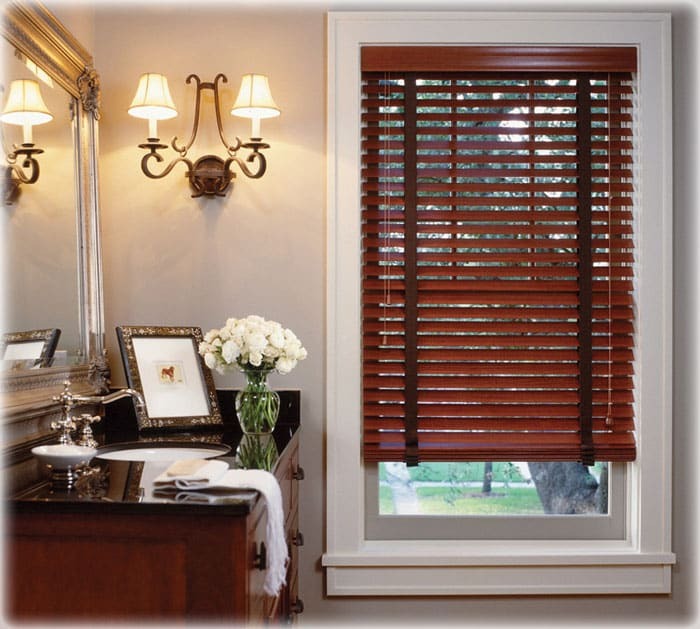 Faux wood blinds are typically used in the bathroom or near the kitchen due to its excellent waterproofing ability. This also means lowered costs while retaining the same look and feel. The different type of wood will also determine the thickness required due to the density of the wood. 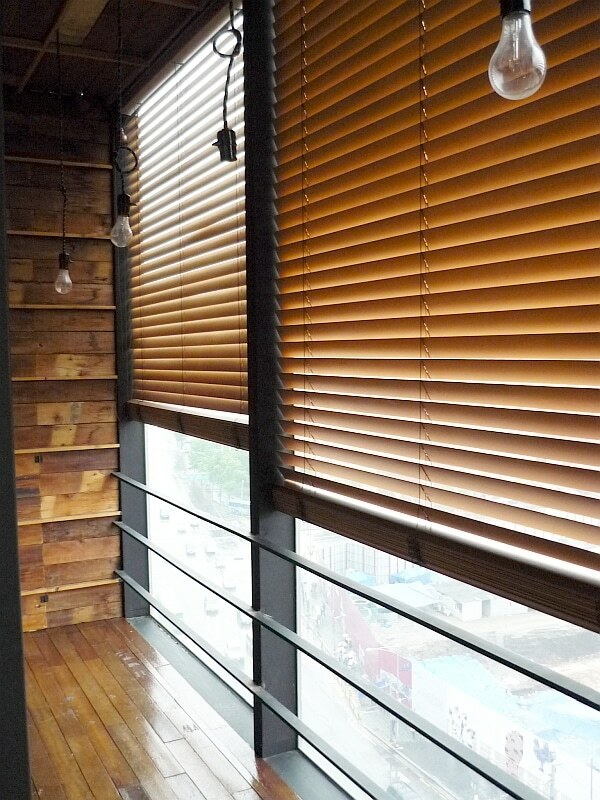 Due to the nature of the material, wooden blinds give off a more resort, beach styled interior. However, it can also be used in most contemporary home designs. take a look at our portfolios if you would like some inspiration. Singapore homes tend to use different tones of wood colours to match. Colours range from white to brown and even black slats. 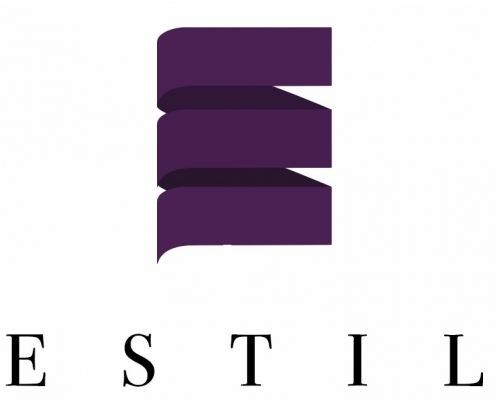 Estil stocks a significant amount of colours, which will definitely be able to cater to your design needs. At Estil Funishing, we have a wide selection of blinds and curtains to fit any home or office design. We also have various motorised option for a more luxurious setting or non-motorised options. For more information and a non-obligatory quotation, do use the contact form below.